Birth of Zoroaster (also Zorasthustra). Zoroastrian tradition offers dates ranging from 6000 BCE to 600 BCE. Most scholars place Zoroaster’s writings between 1700 BCE and 1500 BCE. At about age 30, Zoroaster had a vision of a single supreme God and began to preach and write about that God in a way that comprised a new religion. Zoroaster’s early preaching was rejected, but after some years of wandering (estimates of the time vary), he met Vishtaspa, ruler of a nearby region. Vishtaspa embraced, proclaimed, protected and promoted the new religion within his realm, allowing it to develop. Zoroaster died. The circumstances of his death remain unknown. Tradition holds that he was about 70 years old. Sixth century BCE. Zoroastrianism expanded widely in Persia with the beginning of the first Persian Empire (Arcaemenian Dynasty). 330 BCE. Zoroastrianism was suppressed and sacred writings lost or destroyed in the invasion and occupation by Alexander III of Macedon. 224 BCE. Zoroastrianism was revived, and spread well beyond its home territory, with the restoration of Persian control at the beginning of the Sassanid Dynasty. 651 CE. The Muslim Arab invasion and control of Persia resulted in catastrophic decline of Zoroastrianism in Persia and surrounding areas. One result was migration of Zoroastrians to what is now Pakistan and thence to Gujarat, India, where they became known as Parsi. 1700 CE through about 1850 CE. British linguists succeeded in restoring and translating many of the sacred scriptures of Zoroastrianism, including some of the Avestan, for use especially of the Parsi community. Mid 19th century. A ”new school” of Zoroastrian theology and practice arose among the Parsi, which, using restored original documents sought to return to original Zoroastrian tenets. Early 20th Century (precise date unknown). Parsis, and a few Persian Zoroastrians, began to migrate to Western countries, notably the US and Canada, where communities and organizations were established and remain active. (Persia), probably along the Oxus River, to a family called Spitama. Traditional dates range from 6000 BCE to 600 BCE, but scholars, using linguistic methods, usually place the time of his writings between 1700 BCE and 1500 BCE (Boyce 1979:18-19; Herzfeld 1947:30; Clark 1998:18-19). Zoroaster probably became a priest or worship leader of the existing religion of multiple gods, which involved extensive ritual and animal sacrifice. According to Zoroastrian hagiography, at about age 30, he went into a river to collect water for one such ritual and was struck with a vision. In the vision, which began as a white light, he was introduced to a single, supreme god, Ahura Mazda, who taught him the elements of a new, semi-monotheistic faith. Zoroaster began to preach this new religion, first within his own community, where it was largely rejected, then widely across the area that became Persia. Lacking means of support, he was often cold and hungry during this period of wandering (Boyce 1979:30-32). After a period of three to ten years (traditional accounts vary), Zoroaster met and converted Vishtaspa, the ruler of a nearby region, who embraced Zoroaster’s new faith in Ahura Mazd a single supreme god. Vishtaspa proclaimed the religion of Ahura Mazda in his realm, promoted it and protected both Zoroaster himself and the developing tradition. Zoroaster was evidently literate, perhaps because of his standing in the pre-existing religion, and he began to write extensively, particularly the Avesta, the primary sacred text of the new faith. Little is known about the remainder of Zoroaster’s life or of Zoroaster’s death, but tradition holds that he was about age 70 when he died (Boyce 1979:39-40; Clark 1998:92). About 550 BCE, Cyrus the Great defeated Median rulers and began the first Persian Empire. Cyrus was generally tolerant of all religions and was famous for, among other things, allowing the Jews to return to their own country after he defeated and occupied Babylon. It is not clear if Cyrus was himself Zoroastrian, but it is certain that he was at least influenced by and supportive of Zoroastrianism, as were his successors. It is important to remember that some time passed under Persian rule before the Jews were allowed to return and that not all Jews returned immediately. There was adequate time at this point for substantial interaction and cross influence between Zoroastrians and Jews. Zoroastrianism spread throughout the Persian Empire and continued to grow and develop right down to the point in 330 BCE when Alexander of Macedon overthrew the Persian Empire and added the area to his Greek Empire. The invasion was a disaster for Zoroastrianism. The Greeks, with their already well-developed religion, suppressed the worship of Ahura Mazda, the sacred texts were burned or looted, and Zoroastrianism went into serious decline, although it did not disappear (Dhalla 1972:184-91). In 224 BCE, after the Greek Empire of Alexander had fallen and two relatively short-lived dynasties, the Selucid and the Arcasid, had flourished and the first had fallen, a Persian Dynasty began with the overthrow of the Parthian Arcasids, which had been weakened by war with Rome. 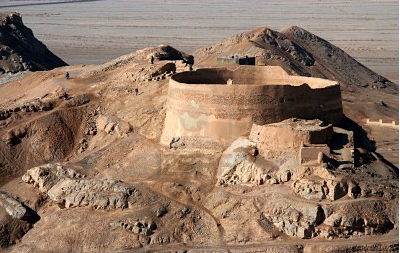 Ardashir I, a Persian-born provincial governor under the Arcasids, and probably a surviving Zoroastrian himself, took the throne to begin more than 800 years of Sassonid rule. He made Zoroastrianism the state religion and made its leaders important members of his government. Under Sassonid rule, Zoroastrianism thrived, developing and spreading with Sassonid power and influence in the region. There was more or less constant conflict with Rome during much of this (Sassonid) period. Therefore, there was constant contact with Rome and the new Christian church, and especially in later years, the Nestorian branch. The Sassonid Empire fell to Muslim Arabs in 651 CE. While the Arabs did not actually suppress Zoroastrianism, the pressure brought on citizens to convert was considerable. Zoroastrian power and leadership were largely eliminated. While communities of believers survived, often in rural areas, over time many migrated to what is now Pakistan, and then to the Indian province of Gujarat (Dhalla 1972:304-06). The migrants brought with them the Zoroastrian creed of “good thoughts, good words and good deeds,” as well as an interest in education and a talent for business. The migrants early on acquired the name Parsi and established a somewhat favored status, first under the East India Company around 1760 and then under the Raj itself. They became respected, virtually a separate caste within the Indian cultural system. The Parsi community found considerable prosperity under British rule, and in post-Raj India; many moved, on British invitation, to Bombay (Mumbai). Beginning about 1700, British scholars became curious about the Parsi religion. Eventually thy were able to restore and translate much early Zoroastrian writing, including parts of the Avesta itself. These documents in the Parsi language were widely available by about the middle of the 19th century. They led to a “new school” of Zoroastrian theology and practice, which consisted largely of stripping away much of the accretion in ritual and lists of personified aspects of Ahura Mazda added through the Sassonid period and returning theology and religious practice to the simpler forms preached by Zoroaster and his early followers (Dhalla 1972:321-22). Somewhere around the beginning of the 20th century, ambitious Parsis, and a few Iranian Zoroastrians, began to migrate to western countries, notably the U.S. and Canada. Parsis and Persians begin to appear in census data in both countries within the first decade of the century. The Persians were few and the numbers are not precise as they were combined into an “other” category; not all would have been Zoroastrians. Parsis became noted for their successful business ventures, and Parsi “good deeds” have included underwriting a number of charitable institutions, including hospitals, in India (Foltz 2004). As Parsis have risen on the socio-economic scale, their birthrate has fallen; since most Parsis discourage both intermarriage and conversion, their numbers have fallen. There are no current reliable statistics, but it has been estimated that there are perhaps 200,000 Zoroastrians worldwide, about 15,000 of whom live in North America. At least one writer places the numbers much lower, suggesting about 150,000 worldwide. There is general agreement that the numbers are falling (Melton 1996: 837; Writer 1994:245). To speak conclusively of Zoroastrian beliefs, doctrines and rituals is difficult since there is no central authority, worship is primarily within the home and community, and there have been several changes or amendments in belief over the millennia. However, it is reasonably safe to describe Zoroastrianism as the world’s first major monotheistic religion and to suggest that a number of Zoroastrian beliefs and practices have been absorbed by other monotheistic religions, such as Judaism, Christianity and Islam. Geographical and time overlaps with these other religions were early and extensive. 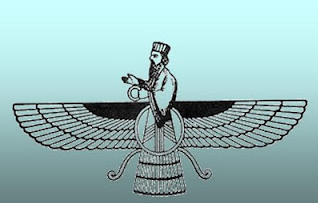 Zoroastrians are followers of Ahura Mazda, who is characterized in much the same way that God is characterized by the Abrahamic religions, as a universal, transcendent, supreme, entirely good, uncreated creator of all things. Ahura Mazda is, in turn, in conflict with Angra Mainyou, an active force for evil, chaos and disorder in the world, a Satan figure. But Zoroastrian belief holds that in the end, Ahura Mazda, and good will prevail when, at the end of time, a savior figure, Sayoshyant, will bring about a final renovation of the world and revival of the dead. The good that Ahura Mazda’s followers do in the world holds the actions of Angra Mainyou in check and advance Ahura Mazda’s struggle toward that completely good world. Zoroastrians believe in free will and the responsibility of each follower to help bring about Ahura Mazda’s goal of a good world. The credo of Zoroastrianism is “good thoughts, good words, good deeds.” The souls of those who follow this creed will, four days after death, cross the bridge of judgment to a paradise. Those who fail will fall from the bridge to a place of discomfort and darkness. All will reside in these places until the triumph of good and the end of time, when all will be resurrected in a non-dead form. Ahura Mazda is assisted in his work by Spenta Mainyu, who is seen as something of an archangel figure. However, Spenta Mainyu is understood to be an aspect of Ahura Mazda rather than as a separate entity, in somewhat the same way that Christians see the Holy Spirit. Historically, there have been long lists of secondary spentas and their helpers, each representing an aspect of Ahura Mazda (truth, creation, order, etc. ), but this usage has declined (Dhalla 1972:334). called Mobeds. 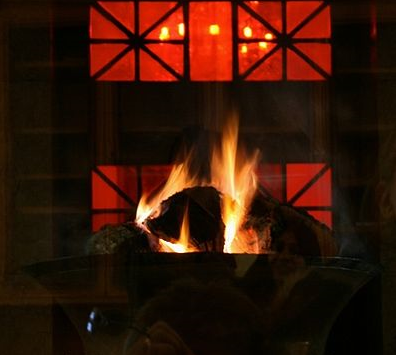 Community worship is held in a “ Fire Temple” or “lawful place” where a fire is kept burning as a symbol of Ahura Mazda. However, Zoroastrians do not worship fire as is sometimes suggested. Other sources of light can also be seen as symbols, and prayers similar in form to those used by Christians are usually said facing such a symbol. Water is also held to be sacred as a source of wisdom. The purification ceremony, a major ritual, ends with a rite for “strengthening the waters” (Writer 1994:62). Zoroastrians traditionally cover their heads as a discipline of their religion, although today that covering may be as simple as a ball cap. They also wear a muslin undershirt, which is considered a sacred reminder of the good and holy path, and a 72-thread cord, which is tied in three knots as reminders of good thoughts, good words and good deeds. These knots are ritually untied and retied during worship. Zoroastrians observe a number of holidays, most of which are seasonal and relate to yearly agricultural events. These are times of community worship, consecration of foods and feasting. Zoroastrians, following teachings in the Avesta, believe in a good life, promote marriage, and eschew all forms of asceticism, such as fasting, celibacy and monasticism. They also hold views that support gender equality and protection of the earth, Ahura Mazda’s good creation (Boyce 1979:205; Masani 1996:70). good creation. In India, where it is not illegal, Parsis have traditionally exposed bodies in “Towers of Silence”, to be eaten by vultures. This tradition has been fading, however, both because the population of vultures has been rapidly declining as a result of toxic chemicals fed to cattle and, to some degree, because of hostility from Hindus. In most places disposal of bodies is now carried out by cremation (Boyce 1979:206; Foltz 2004:4-16). Zoroastrianism has not historically had and does not now have major internal divisions. There has been some friction in the Parsi community in India between the more progressive members of the New School and some of the more conservative members of the community, but these differences have continued for many years without leading to schism. There have also been some examples of division concerning the calendar to the point that some communities celebrate holidays on different dates. But again, these have been relatively minor: lacking a central religious authority, there are already differences in practice between communities. The really serious challenge facing the Zoroastrian community is membership. The number of Zoroastrians worldwide is probably no more than 200,000 and is falling rapidly. Of the 200,000 or so Zoroastrians worldwide, (one authoritative source puts the number under 150,000) There are about 15,000 in the US, the second largest colony (Melton 1996:837; Writer 1994:245). There are significant communities in Australia and Canada, and other British Commonwealth countries, and there are surviving communities in Iran and in several Central Asian states. There are several factors in this decline, largely demographic. Parsis tend to be relatively prosperous and therefore tend marry later and have fewer children. They are also financially able to migrate, and many have. Finally, many Parsis oppose intermarriage and conversion. As with many religions, the opposition to intermarriage is fairly strong and perhaps more effective than it is in some other religions. Parsis particularly recognize an ethnic and cultural aspect to their faith that would make integration of newcomers somewhat difficult (Writer 1994:213-22). The opposition to conversion is not universal, however. Zoroastrians of Persian and Central Asian background living in Diaspora communities are much more open to conversions both by individuals and as part of an intermarriage. Most do continue to oppose active proselytizing, however (Khan 1996). Those who are not opposed to conversion have formed an association, The Zarathustrian Assembly, which maintains an extensive website and s erves as a major source of information on contemporary Zoroastrianism, especially as it is found in western countries (Writer 1994:213-15; “The Zarathustrian Assembly n.d.). Boyce, Mary. 1979. Zoroastrians .London: Routledge & Keegan Paul. Clark, Peter. 1998. Zoroastrianism: An Introduction to an Ancient Faith.. New York: MacMillan. Dhalla, Maneckji Nusservanji.1972 (1914). Zoroastrian Theology from the Earliest Times to the Present Day. New York: AMS Press (two volumes). Foltz, Richard. 2004. Spirituality in the Land of the Noble. Oxford: One World Publications. Herzfeld, Ernst. 1947. Zoroaster and His World. Princeton: Princeton University Press. Khan, Roni. 1996. The Tenets of Zoroastrianism. Accessed from http://tenets.parsizoroastrianism.com on March 29, 2012. Masani, Rustom. 1968. Zoroastrianism: The Religion of the Good Life. New York: MacMillan. Melton, J. Gordon. 1996. Encyclopedia.of American Religions. Detroit: Gale Research. Ramazoni, Nesta. 1997. “Fire in the Temple: The Zoroastrians.” Pardis 1 (Spring). Accessed from http://meta-religion.com/World_Religions/Zoroastrim/zoroastrism.htm on March 28, 2012. “The Zarathustrian Assembly.” n.d. Accessed from http://www.zoroastrian.org/ on March 28, 2012. Writer, Rashana. 1994. Contemporary Zoroastrians: An Unstructured Nation. Lanham, MD: University Press of America. Zaehner, Robert Charles. 1961. The Dawn and Twilight of Zoroastrianism. New York: G.P. Putnam’s Sons.